Cost: Included in registration fee for full delegates and sponsors/exhibitors. Join us for a first look at the exhibition hall and a chance to catch up with colleagues and delegates you haven't seen since 2019! 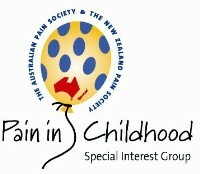 Enjoy a 2 course meal and drinks, with friends and colleagues interested in basic pain research or pain in childhood. Always considered a highlight of the conference, don't miss out!